Silver Spoon Entertainment - Live Event Excellence Since 1995! : Rock In The New Year! What a way to kick off a new year! Nickolas and Tiffany tied the knot and celebrated their big day, and we kicked of 2011 with a bang! The historic Italian-American Club in Kenosha hosted our reception, and everyone had an unforgettable night. 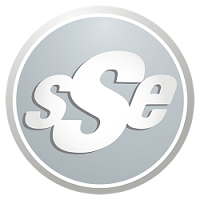 Another year in the books for SSE, and an exciting new year awaits. Congrats once again to Dr. & Mrs. Hanna! Oh My Lordy, Tommy's 40!